Exeter Chiefs scrum-half Will Chudley has been cited for an alleged kick on Wasps lock Joe Launchbury during Saturday's Premiership semi-final win. The 28-year-old will appear before a Rugby Football Union disciplinary panel on Tuesday, ahead of his side's final against Saracens on Saturday. 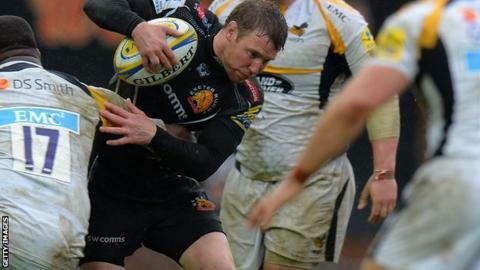 Exeter booked their spot at Twickenham with a 34-23 victory over Wasps. The Chiefs are competing in the top-flight play-offs for the first time in their history.